You’re the best person to judge what you need and what works for you. 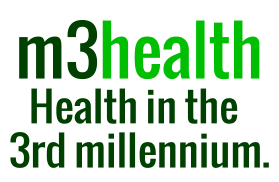 The m3health Program is designed to help with any problem, not just health problems. It’s effective with psychological problems, relationship impasses, concerns about life direction, childrearing difficulties, work considerations and enjoyment of life issues. It helps you see all these things differently and helps you resolve them. For more than 25 years we’ve been successful in helping people who are familiar with the sort of thoughts and feelings that are listed in the table below. Check the boxes to score yourself. If you tick more than 5, the m3health Program is likely to be of assistance to you. Why don't these tablets work for me? There's no way I'm looking at anything new! I used to be full of joy and look at me now.